So, this weekend I decided to try the costumes on the kids since they are getting their pictures taken in them next weekend. 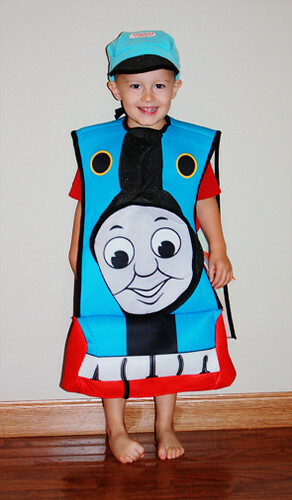 Is it really a surprise that Nathan decided to be Thomas the train? 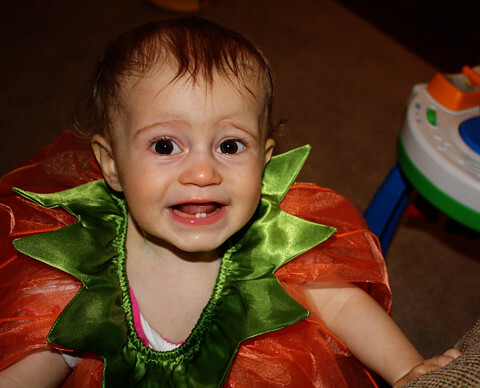 It did not take long for Autumn to realize that she does not like her adorable costume. 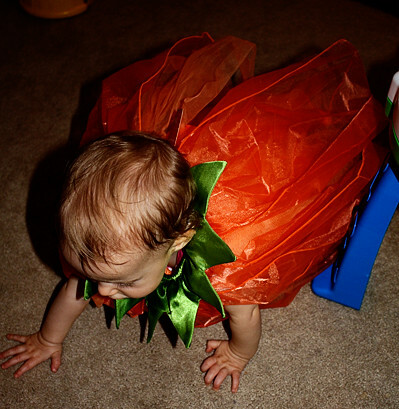 Maybe I can crawl away before Mommy puts the rest of the accessories on me! Ahhh, now can you tell what she is? 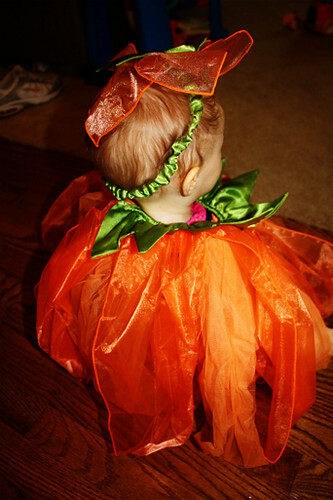 A pumpkin fairy! 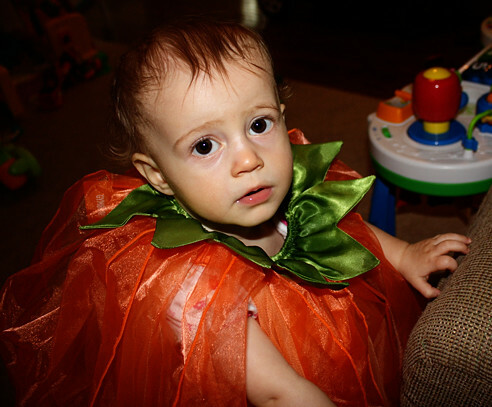 Nathan was a pumpkin for his first Halloween so I thought how cute it would be to make Autumn a pumpkin for her first Halloween, too! Plus, its from Gymboree, and I heart Gymboree! Don’t ask me why, but the shoes for this costume are giganchua (gigantic!). 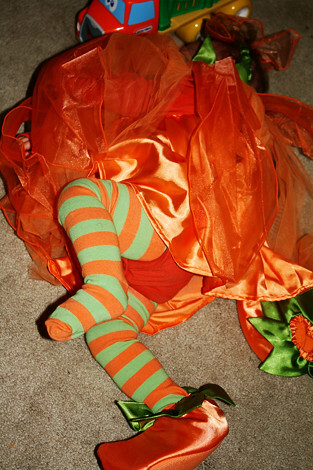 Seriously, its a 12-18 month costume and the shoes fit my 3 year old! P. S. Aren’t the tights cute? 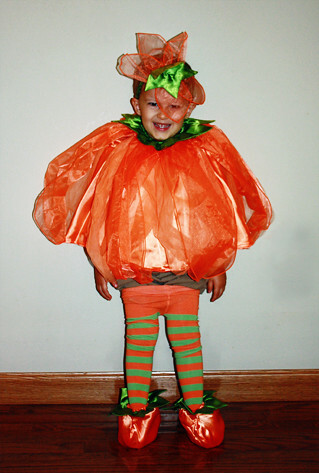 Seriously, if you think this is cute- just wait until you see Autumn’s Boo at the Zoo outfit as it will definitly BOO you away!